For centuries, the human race has grappled with its own mortality. From biblical stories to science fiction, it seems to be in our nature to seek out long life – perhaps by whatever means necessary. Yet, these tales often end with words of caution and moral lessons to be learned. While we haven’t found the secret to immortality just yet, the population of people living past 100 is ever growing and by 2050 could reach to over three million people. What’s their secret? Clean eating and positive outlooks aside, there are certain regions in the world that seem especially conducive to longevity, known as Blue Zones. Spanning across many continents and home to a wide range of cultures, Blue Zones are geographical hotspots of centenarians. The inhabitants of Okinawa, Japan have the highest life expectancy rate of anywhere else in the world at 85 years. A regional emphasis on clean living and plant-based diets, as well as the traditional concept of “reason for being” or Ikigai, gives citizens a life-long purpose for living. Loma Linda, California is another such place in which the life expectancy is over ten years longer than average Americans. Again, following a traditional diet of veggies and whole grains, this tight-knit community stemming from strong religious purpose almost mirror the communities of Okinawa. Coincidence? In 2016, the global life expectancy was 72 years and this average age keeps increasing. By 2050, planet Earth could be home to over five million centenarians – could we be among them? Invest in your present to build a solid foundation for your future, and potentially extend your life in the process. 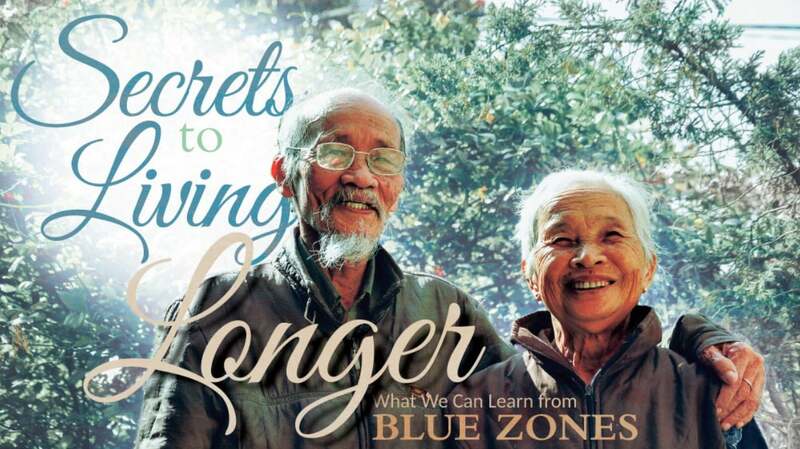 Here’s what we can learn from the centenarians living today, the quality of life in Blue Zones, and how we can make it work for ourselves, detailed in this infographic.